Let’s face it, we all knew this was coming, right? Despite the petitions, despite the outcry, despite the generally negative backlash to the the BBC’s plans to axe the BBC3 channel, we knew that it was all going to be in vain and that the BBC would let it die a slow painful death. First, they take ‘Russell Howard’s Good News‘, easily one of the most popular original shows on the channel and move it to BBC2 (which isn’t necessarily a bad thing as it gives more exposure and freedom to a comedian who deserves all the success he gets) and then once they’ve lost the regular viewership for ‘Russell Howard’s Good News‘ and shows like ‘Backchat‘ and ‘Doctor Who: Confidential‘. they can turn around and say that their “hands were forced”. Essentially, the BBC created a problem just so they can fix it and appear to be doing the right thing. What is this, the video game industry? BBC3 is meant to be a channel devoted to the youth, but what that’s mainly equated to were trash-TV shows such as ‘Snog, Marry, Avoid‘ and re-runs of ‘Family Guy‘. The reason for this is very simple; The BBC is run by old, rich, white men. They don’t know what to do with BBC3 and because of that, they don’t want it. In plans announced yesterday, the BBC stated that once BBC3 has been taken off the airwaves it will go entirely online by Autumn 2015 and those behind the BBC revealed just how out of touch they were with how the youth consume media and what they want out of their entertainment. First of all, one of their big selling points of BBC3 Online was that it would be available 24/7. Many news outlets took this to mean that there would be a continuous stream of scheduled programming, but BBC spokesmen clarified that what they actually meant was that viewers would be able to watch BBC3 shows whenever they wanted. 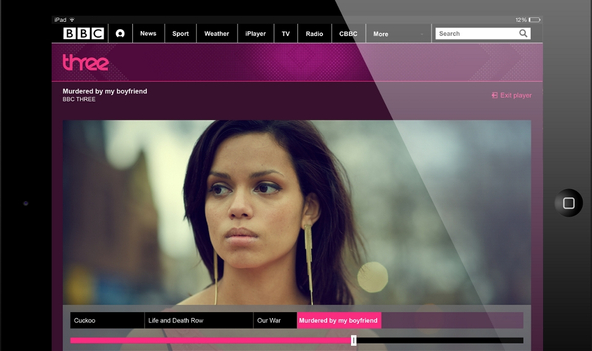 That’s not so much a selling point of BBC3 Online as it is the concept of the internet. So what the BBC want is to turn BBC3 online into a BBC-produced, youth-oriented alternative to Netflix. That’s not a bad idea in concept. When BBC3 first started 11 years ago, there was no Facebook, Twitter, Netflix, YouTube. The entertainment landscape has changed and millennials who are at the forefront of this technological revolution are exposed to media in a completely new way. But we’ll talk about why that approach will probably fail later on. Next up, the BBC announced that it’s axing exclusive entertainment shows, likely spelling the end for shows such as ‘Don’t Tell The Bride‘ and ‘Snog, Marry, Avoid‘. Terrible shows, but they have their audience and I’ve defended their right to exist in the past as a means to give production newcomers an easy way to get into the industry working behind-the-cameras on those types of shows. To replace these entertainment shows, the BBC will develop new content that will be conventionality placed in two categories. “Make Me Think” will focus on current affairs, documentaries news and drama, whereas “Make Me Laugh” will focus on scripted comedies such as ‘Gavin and Stacey‘. So apparently it’s impossible to do both at the same time. Thinking and Laughing are mutually exclusive, it would seem. Now, can this work? Not in the way the BBC are proposing and if Tony Hall and the other old, rich, white men at the BBC go down this path they’ll squander a golden opportunity. A youth-oriented, BBC-centric equivalent to Netflix could work, hypothetically speaking, but they’ll need to pack it full of content. And I’m referring to both quantity AND quality. You see, one of the reasons Netflix is so successful is that it has thousands upon thousands of hours worth of content. They have a back-catalogue to suit any taste. When BBC3 online launches, with the proposed £20 million budget (or even less according to some reports), I wouldn’t be surprised if you could plough through all the content in a weekend. For any online platform, the lack of regular content will spell death for it. The BBC announced that one factor in this move to online is to save money since a TV license isn’t worth as much as it used to be, so budgets have to be cut. With this move, the BBC stands to save £50 million a year, but instead of investing those savings back into BBC3 they’re planning to primarily invest it into BBC1 dramas. Make no mistake, if there’s one department where the BBC are doing just fine, it’s their BBC1 dramas. ‘Doctor Who‘, ‘Atlantis‘, ‘Sherlock‘, ‘Remember Me‘, ‘The Missing‘, ‘Waterloo Road‘, ‘Rabbit Hole‘, ‘Holby City‘, ‘Casualty‘, the list of recent programmes and ongoing successes goes on and on. The BBC1 drama department is doing just fine. There’s literally zero need to pump more money into it when it’s already achieving frequent national AND international critical and ratings success. That money needs to go to BBC3 online if the BBC want any chance of success with the platform. The BBC could use those savings to invest in cost-effective, regular, high-quality programming for a hungry online audience. What we need are shows that make us think, laugh, think AND laugh and engage viewers on multiple levels regularly. We need a John Oliver. For those of you who don’t know, John Oliver has been a political talk-show host in America for some time, but he recently found massive success on HBO this past year with ‘Last Week Tonight with John Oliver‘. Basically, it’s him at a desk in front of a live studio audience talking about the news of the week. Yes, we have shows like that such as the aforementioned ‘Russell Howard’s Good News‘, ‘Mock the Week‘ and others, but we don’t have a show that actively encourages change through the laughs. John Oliver’s segment on Net Neutrality is often accredited with crashing the FFC’s servers due to the influx of interest in the topic. 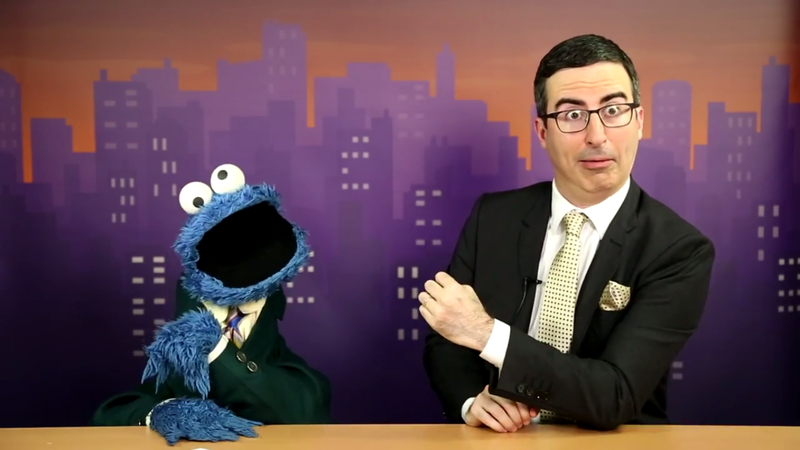 And while for the last few months the show was regularly broadcast on a Sunday Night, after the episode was broadcast his segments would go on the official ‘Last Week Tonight‘ YouTube channel. And the viewing figures were phenomenal. His video outing the nasty behind-the-scenes shenanigans on FIFA is close to breaking 9 million views. His aforementioned video on Net Neutrality (at time of writing) has 7.3 million views and is (BY FAR) the most viewed video on the subject online. The younger viewers have spoken. This is the type of content they’re more than willing to watch. 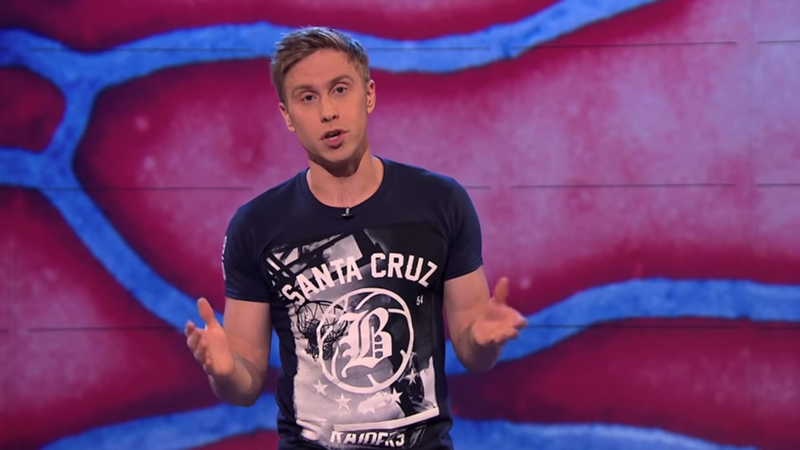 I’m not trying to discredit the work of ‘Russell Howard’s Good News‘ or ‘Mock the Week‘. They’re comedy shows at their core and they do their jobs very well, but BBC3 will need a John Oliver equivalent. Normally, I’d cry foul at the idea of stealing any idea from America, but John Oliver is British so I think it balances out. BBC3 Online will need cost-effective shows, with viral potential that put individuals at the forefront. John Oliver is the face of the show and because of that, he’s easily recognisable and his content is accessible and more engaging. 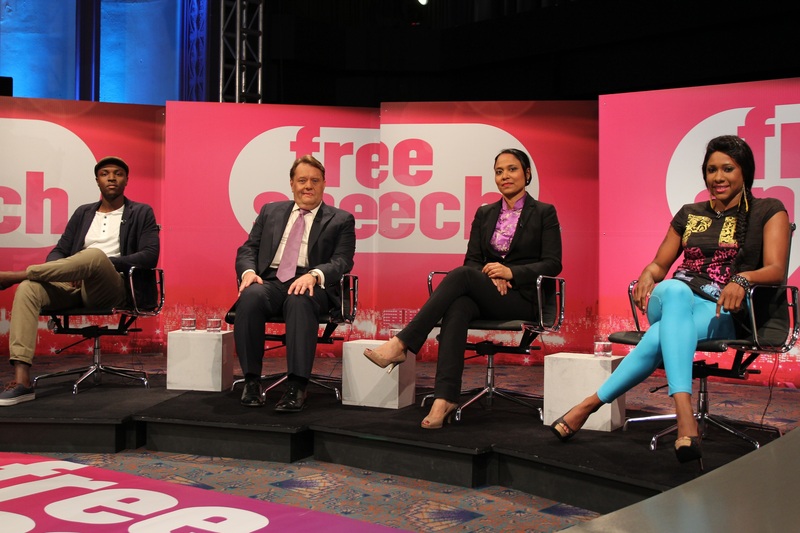 ‘Free Speech‘ is a show that could absolutely thrive on an online platform, especially with the ways they engage with their viewship on social media. Tony Hall’s recent announcement emphasised social media engagement through Facebook, Twitter, Instagram and Tumblr and shows like ‘Free Speech‘ will help get this point across. We need more shows like that as well on an online platform. Shows that discuss topical issues that could easily go viral if they’re on the correct side of the debate. But what of the scripted content? This could potentially be the lifeblood of BBC3 Online, but with the platform’s reduced budget (seriously, BBC, invest the money you’re saving into this scripted content) the offerings could be slim. BBC3 can’t just create content in the vein as ‘College Humour‘, ‘Funny Or Die‘. That particular audience is already being catered towards and you will not convert that viewerbase or win that fight. We need full-length serialised story-telling aimed at the youth that challenges them, makes them laugh or both. 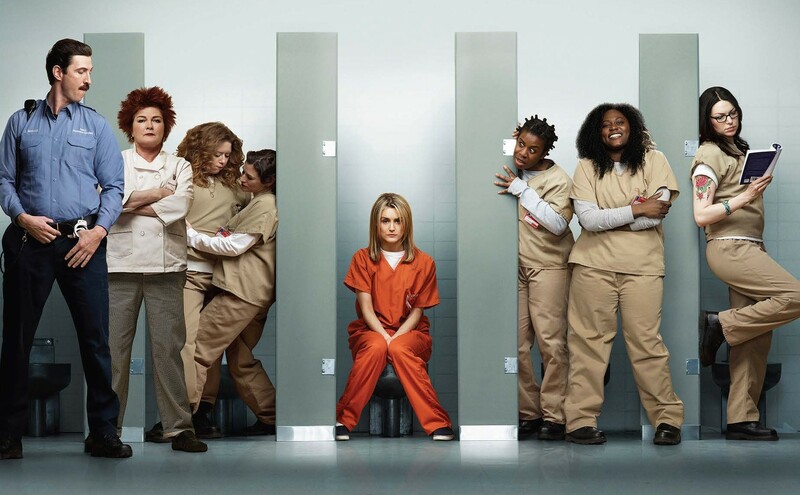 Netflix are currently making a killing in original programming with ‘Orange of the New Black‘, ‘House of Cards‘ and ‘BoJack Horseman‘, but that’s because they’ve invested serious money and talent into them. BBC3 will need to do the same if it wants to compete on the same level. At first, BBC3 online may need to produce a lot of “Bottle Episodes”. For those of you who don’t know, a “Bottle Episode” refers to a cost-saving episode of a television series that takes place in very few locations with a limited cast. ‘Breaking Bad: 4 Days Out‘ is an example of a “bottle episode”, as is ‘Doctor Who: Midnight‘. 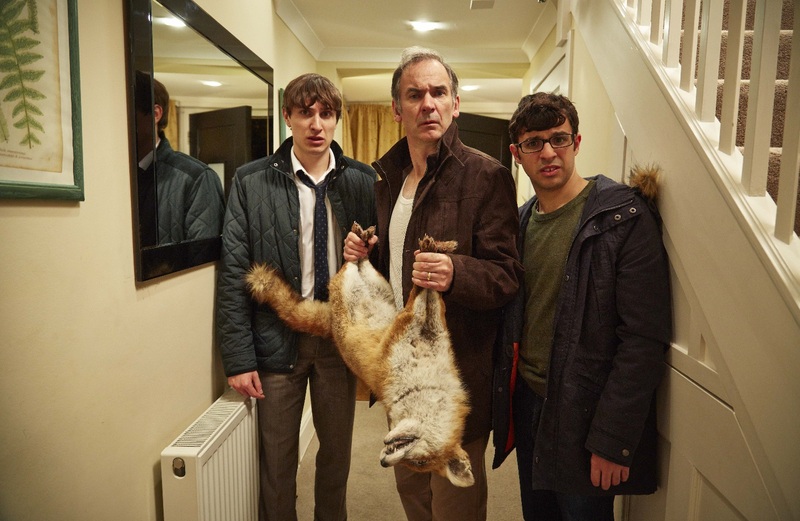 Shows such as Channel 4’s ‘Friday Night Dinner‘ is comprised almost entirely of “Bottle Episodes” as almost every episode takes place solely inside a family home with a cast of 5 regulars (4 family members and a neighbour). When launching BBC3 online, the platform may need multiple shows like this which would create a heavy emphasis on character-driven content. This could be a great way to utilise the BBC Writer’s Room, which has been stagnant for the past year when it comes to TV content (I know this having spoken with numerous BBC Writer’s Room staff members and they acknowledge that they’ve been neglectful over the past year for TV writers) as well as find young and enthusiastic acting talent. As great as a BBC equivalent to ‘Friday Night Dinner‘ would be, it would also need multiple equivalents of varying scales and genres and to do that it would need money. BBC3 will live or die on the budget it’s given and the current budget proposed is NOT sustainable. And even if it was given the budget, the current mentality behinds its programming is absolutely bonkers. Yes, shows such as ‘Friday Night Dinner‘, ‘Free Speech‘ or ‘Russell Howard’s Good News‘ are great and serve their purposes well, but the platform will need shows like ‘Last Week Tonight with John Oliver‘, ‘Orange is the New Black‘, ‘Black Mirror‘ or a soap opera to call its own in order to give BBC3 online any sort of shelf life. They’ll also need to foster brand new talent and make BBC3 a platform to experiment with new ideas through high-risk/low-cost programming and REALLY push the online marketing. Behind the scenes shows such as ‘Doctor Who: Confidential‘, ‘Strictly: It Takes Two‘ and ‘The Apprentice: You’re Hired‘ could flourish on an online platform, but only if the BBC let them flourish. Even then, there are still many questions that have yet to be answered. Will BBC3 online only be available to people in the UK who pay their TV license? If so, how do you sell programmes internationally? How will you protect the programmes from piracy? Will BBC3 shows be moved from the iPlayer to give the platform a back catalogue right off the bat? Will BBC Films be involved to create online exclusive feature films or will it be strictly episodic content? Those are key questions that, at time of writing, we don’t have an answer to. I believe that BBC3 Online could be a brilliant tool to engage younger viewers and could even be used as a prominent driving force to pioneer new voices in the media industry. But it’ll need money and people running it that understand that, sometimes, the most profound laughs are the ones that are accompanied by tears and big-ideas. What the BBC seem to be forgetting (or, worse yet, actively ignoring) is that the audience they want to create this content for will one day be future content creators themselves. They have a responsibility to give that audience engaging content that matters, as well as convincing that same audience what the value of a TV license is. Because the value of good media is far more than either just laughing or thinking.